Commissioned by the St. Paul Chamber Orchestra, this concertino was originally conceived as a part of a complete educational concertprogram. Four concertini, each featuring a different instrumental family within the chamber orchestra, are played in succession to demonstrate the characteristic sounds of those instruments. The music is thematically related but not identical to the Concertino for Chamber Orchestra (parts available on rental from the publisher), which serves as the program's closer, demonstrating all of theorchestral sections playing together. 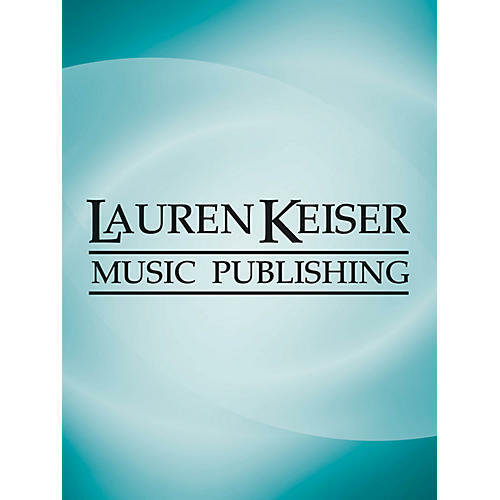 This program is suggested by the composer for orchestra concerts, however each instrumental concertino can be performed individually and stands quite effectively on its own as a short chamber recital piece.